Since the Province of Ontario banned the use of pesticides on Earth Day, April 22, 2009, to control weeds and insects for purely cosmetic reasons our lawns have never been the same. Many lawns are becoming overrun with weeds or are thinning due to insect or drought damage which only compounds the problem. Many residential or commercial customers are unaware of the options available to combat these problems and as such are in need of our services and expertise. The best way to combat weeds, in the new pesticide free environment, is through proper nutrition, using new recently developed organic weed & pest killers and by over-seeding. 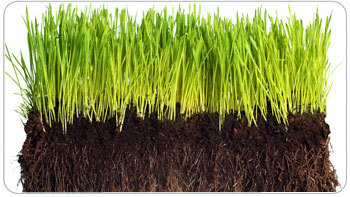 This will build a strong, thick lawn, with a good root system, which will naturally block new weed growth. Traditional lawn care companies still operate the same as if they did before the ban, broadcasting fertilizers, spraying and running away. This does not work with the new natural weed killers and bio-pesticides. These new products require very special application procedures for them to be effective. They need to be applied at very particular times and many companies don’t do this correctly which means you are paying for a service which isn’t going to work. As a result many customers believe that these new products don’t work. In fact, these new products, when applied correctly, are very effective at creating a green lawn which is healthy and environmentally safe. Does your lawn need a little TFLC? 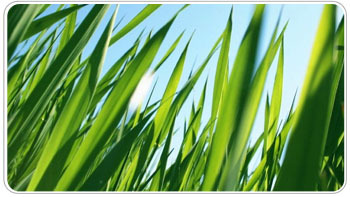 CopperRidge offers complete lawn care services customized to address your property needs. Nothing makes your home more inviting than a lush green lawn and well maintained gardens. It’s the perfect backdrop for summer outdoor leisure activities. But maintaining that beautiful lawn & garden can be a lot of work! CopperRidge’s Turf Farmer Lawn Care realizes that a healthy manicured lawn and an inviting garden are an integral part of your home. We are in business to make that job easier for you, and we can help you add value to your property. As a member of the Professional Lawn Care Association of Ontario, we provide exemplary care for your lawns and gardens to keep them looking their best. From fertilization programs and lawn cutting, to pruning and planting, we look after it all...so you don’t have to. Our comprehensive Turf Farmer Lawn Care packages can be customized to suit all your particular needs, including your budget.